Faculty Concert Series at Belmont University in Nashville, Tenn. May 30, 2017. The Christmas Eve Carillon Concert will be held at 2 p.m. at the campus Bell Tower, located just off the corner of Belmont Boulevard and Portland Avenue. 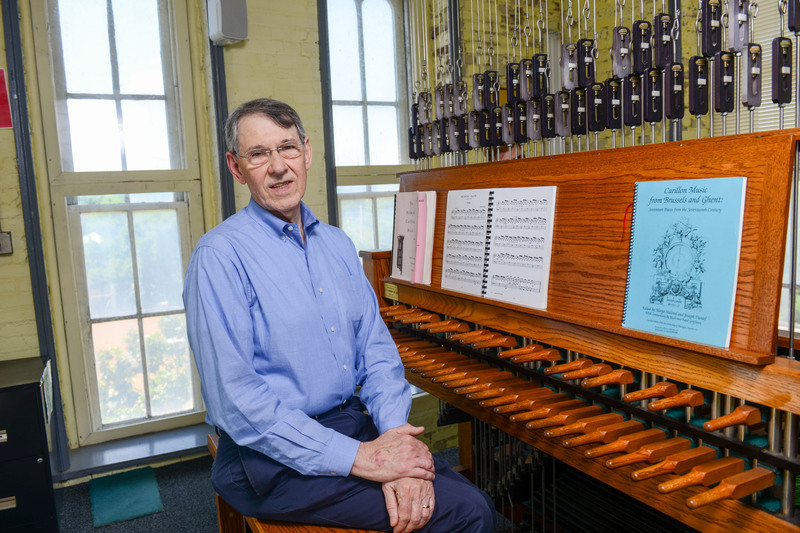 The concert features Music Professor and longtime carillonneur Richard Shadinger playing traditional Christmas music on the tower’s 43-bell carillon, his final Christmas Eve Concert before his upcoming retirement in May. Located in Belmont’s Bell Tower, the carillon is one of only 180 across the country and is played by hand, multiple times each week including large events, basketball games, Homecoming celebrations, between class changes and more. It’s seen many impressive memories and sights including annual Christmas concerts, marriage proposals and even its own rendition of the Star Wars Theme Song. A pianist originally, Shadinger learned to play to the carillon for Belmont–having never even seen a carillon before Belmont’s arrived on campus. He showed immediate interest in the system and has taken an extreme liking to the instrument, traveling to conferences, attending weekly lessons for years and even taking a sabbatical to further his skills. Of course, the holiday wouldn’t be complete without the annual “Christmas at Belmont” special, performed in the Schermerhorn Symphony Center last December. PBS will provide a national broadcast on Friday, Dec. 21 at 9 p.m. (CST) of the 2011 performance, which featured nearly 700 students and faculty from the School of Music and was hosted by country artist and Tony-nominated Broadway star Laura Bell Bundy. Check local listings for additional air times. In Middle Tennessee, Nashville Public Television (NPT-Channel 8) will air it on Christmas Eve at 9 p.m. (CST).